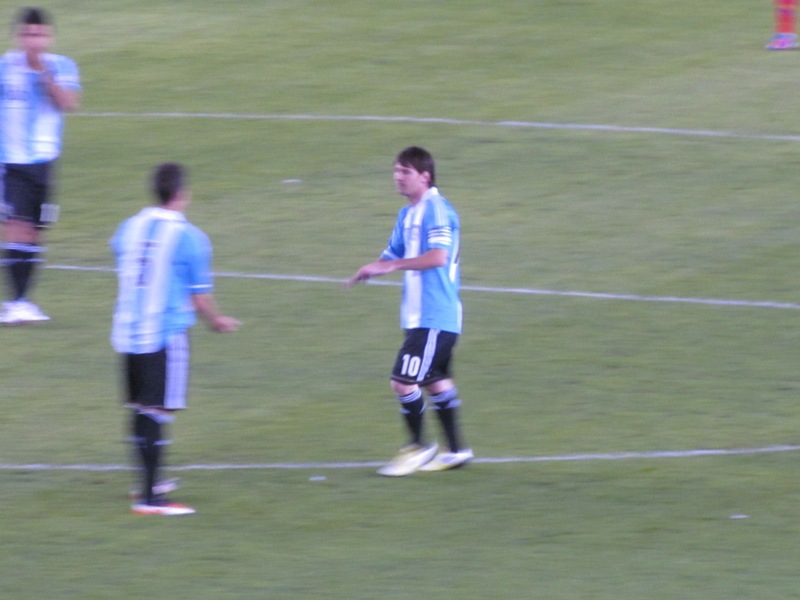 Soccer teams in Argentina don’t rely on cheerleaders to keep fans up out of their seats during a game. A voluntary “cheer mafia” made up of hard-core fans in various states of soberly disorder eagerly does this on their own from the stands. At least, so we’ve heard from our friend Galen who braved the madness and went to a Boca Juniors soccer game and experienced the “cheer mafia” firsthand. At one point in the game, one of the men leading the cheering and singing went to their row and punched a dude who wasn’t cheering. The dude was a tourist. Then, this cheer-man grabbed one of Galen’s friends by the shirt, essentially commanding them to cheer or else face the same fate. 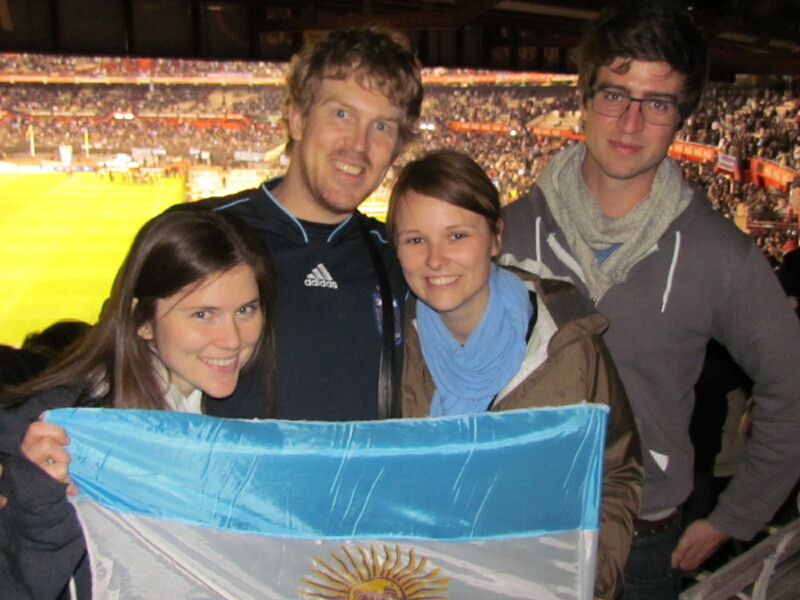 What Galen discovered later was that the cheering at a soccer game in Argentina is a bit of a superstition. The louder, rowdier, and more pervasive the cheering is the better the team will play. A moment of silence or a silent onlooker may be the root cause of a player’s mishap. So, it’s not that the cheer mafia are simply jerks, they’re superstitious. At least this cheer man was, Galen believed. While cheering in the U.S. for hours on end sounds incredibly tedious — how long can you go yelling a “Yay!” here, a “Go team!” there, and an occasional collective “De-Fense!” without a break? 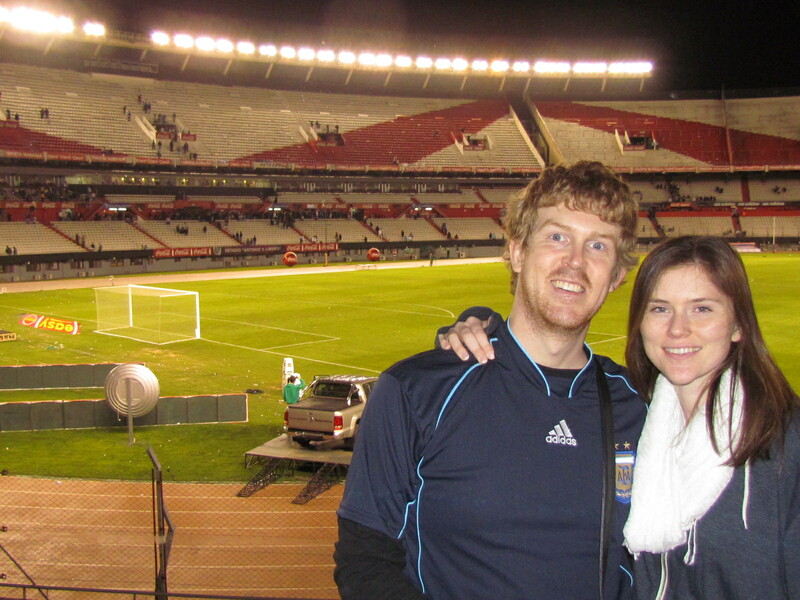 — cheering in Buenos Aires is more like singing choruses over and over again. The crowd is one large choir, and each team has its own songbook. It’s a lot easier to sing for hours than to yell. The game we went to wasn’t enforced by a cheer mafia, thankfully. But they still had a songbook to sing as they watched Lionel Messi destroy Ecuador. Notice in the video everyone is jumping! Hilarious that they sing it at a game against Ecuador! In the end, we were super excited to see an awesome game where (1) Argentina won, (2) Messi scored a goal, (3) the cheer mafia men were not on the lookout, and (4) we were able to sing the songbook of Argentina soccer. Good times.